Although there are many simple at home steps to preserving your furnace or air conditioner below are just the most common and easiest do-it-yourself steps that will add years to your system. 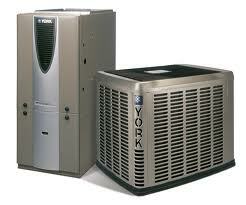 Have your AC system checked out each year. In the spring, your system should be thoroughly check out for Air Conditioning issues especially the refrigerant level, capacitor charge, contactor points, thermostat operation, and clean the blower cabinet. In the fall, you should have your furnace checked and cleaned. Cleaning the blower cabinet, blower capacitors checked, igniters checked, flame sensor cleaned, heat exchanger checked, and carbon monoxide checked. Change your filters monthly. Do not use the very inexpensive see-through filters. If you can see through it, then dirt will get through it and get into your blower motor. Also do not get the very expensive filters either. They can prevent air flow when they become even the slightest bit dirty and starve your system of air. Chose the mid-range or first level of pleated filter and change it monthly. This is especially important if you have kids or pets because they bring more dust and dirt into the house and can clog up the filter faster. Wash the condenser coils with a mild detergent from the inside out. Like filters, the outside coils can get a blanket of dirt on them which inhibit the proper functioning of the coils. This is especially true for Heat Pumps since the coils are used year-round. Keep weeds, grass, and bushes at least 18” away from the outside condenser coils. Similar to cleaning the coils, heavy brush or foliage can force the hot air coming out of the fan to circulate back into the coils instead of cool air reducing the efficiency of the condenser unit. These basic do-it-yourself tips will help keep your system working at its best for many years down the road and possibly prevent an early and expensive equipment failure. At Alexander Heating and Air Conditioning we offer a low-cost annual maintenance plan that will help keep your system in proper working condition.